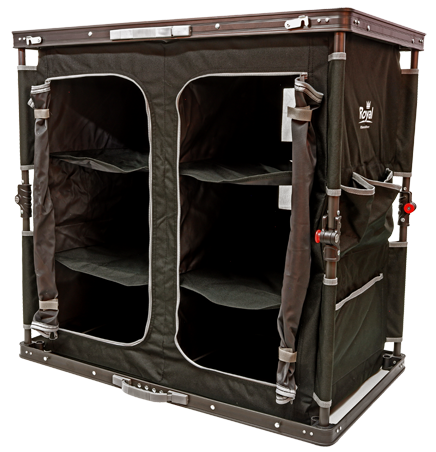 A double storage unit with a quick collapse folding system, ensuring little effort is required during set up, and guaranteeing convenience of transportation. The Quick Collapse Double Storage Unit has three double aluminium finished shelves with zip cupboard storage, a sturdy load capacity of 30kg and additional storage pockets on both sides. It is ideal product to store all your items on your camping trip, and will successfully help to declutter your space.